Haal de elanden uit elkaar en probeer ze dan weer terug in elkaar te zetten. Moeilijkheidsgraad: 6. Prachtige kwaliteit puzzel! At the end of the 19th century, Britain experienced a huge puzzle craze. I managed to pick up a number of the puzzles famous during that period in flea markets, despite their rarity. Based on these original puzzles from Britain’s famous puzzle period, this is one that we have successfully revived in its new form. 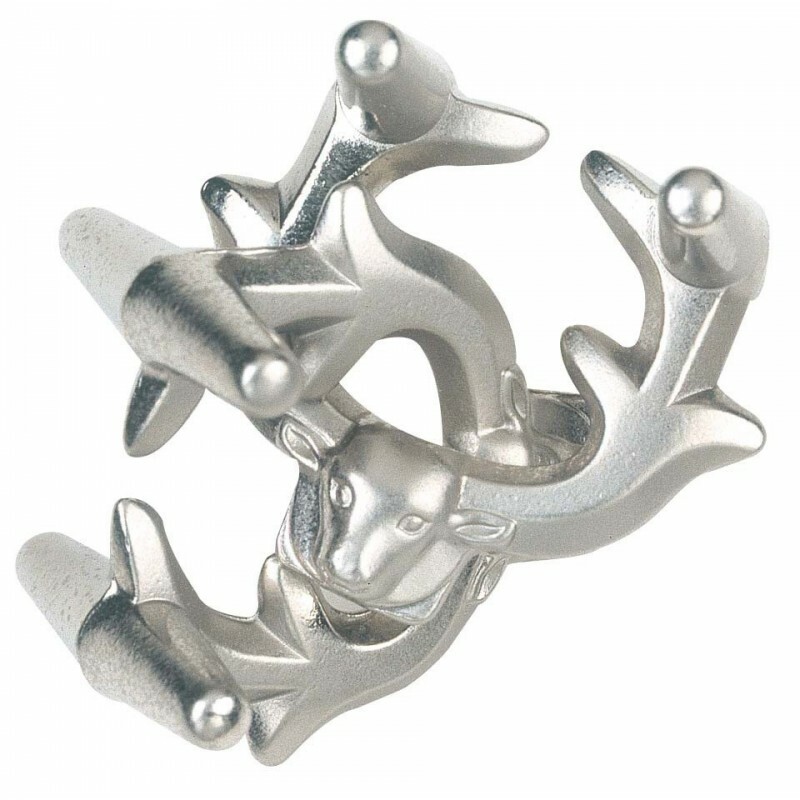 The key word here is “antlers.” Can you free the antlers…and then put them back together again?